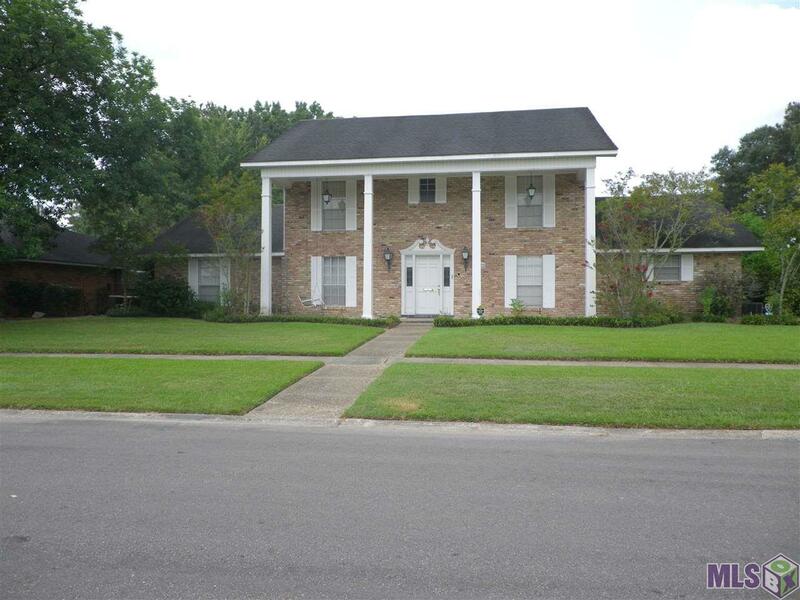 True Louisiana Colonial Design- Lovely house on the corner, so impressive on the corner. Very large 6 bedrooms/ 4 bedrooms up and 2 bedrooms down. Large Den with fireplace and bookcases. Kitchen has ample cabinets and appliances are built in. Large breakfast bar separates breakfast room from kitchen. There is a wet bar with ice maker and cabinet. Utility room has a half bath in it. This goes to a triple enclosed garage. Large fenced yard with storage building. Master bedroom has double closets and bath with vanity and tub/shower. Extra bedroom down could be office. There is a lovely foyer with open staircase to second floor. On either side there is the Living room and Formal Dining room with built in china cabinet. Bath upstairs are two "Jack & Jills" with separate vanties and wet areas. Bedrooms have walk-in closets. All doors in house are solid six panel. House is in great condition and so spacious. Exterior: Outside Light, Patio: Covered, Patio: Open, Porch, Storage Shed/Bldg.